Adalaj Free Bootstrap Website Template is a creative, professional and fully responsive free download website template. It is specifically create for small business owners and WordPress developers. 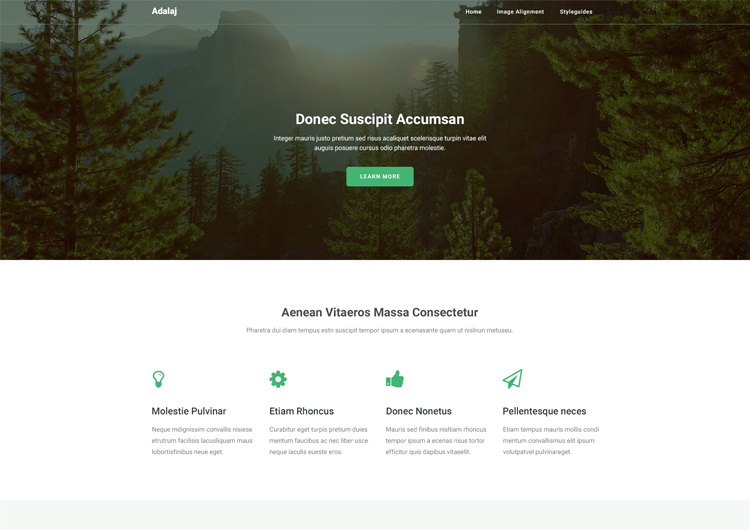 Ease Template is an ideal place for Free Download Website Template. Adalaj is the most inviting and modern website template to attract customers.It is full of features and excellent design with Bootstrap Framework, HTML5 and css3. Adalaj is the most affordable and informative Website Template. It has basic pages like index, image alignment and style guide with sticky header and back to top function, can be easily customized!!. Mobile visitors will enjoy same sharp view in their smart phones. Your website will always work perfectly on any screen.It is ready to use prebuilt free website template.